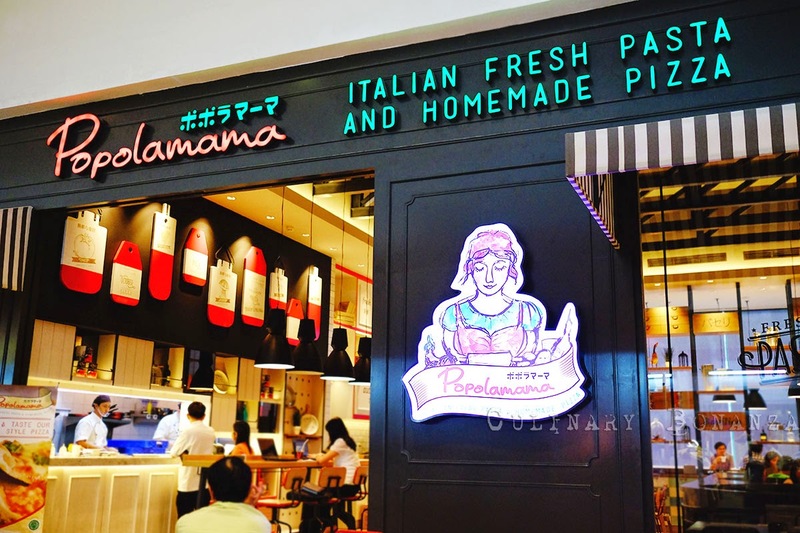 Popolamama, a popular Italian restaurant chain in Japan, now opens its first franchise in Indonesia. 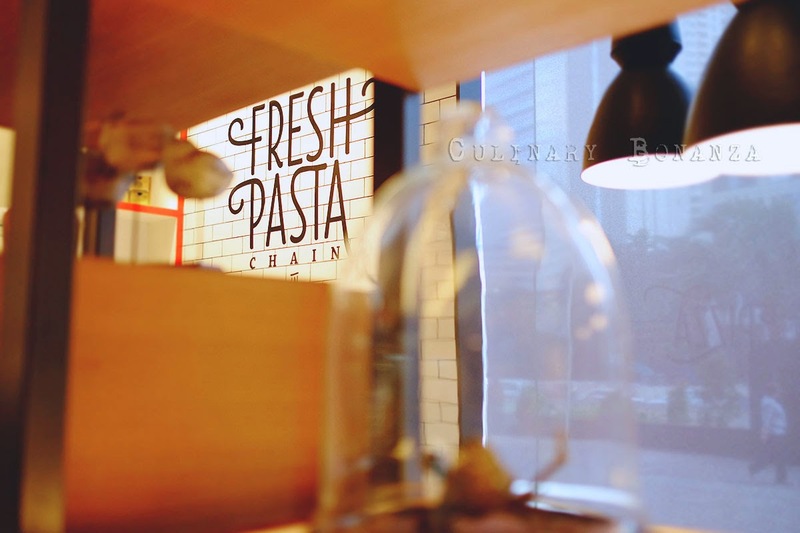 The first outlet is located at the ground floor of Sudirman Plaza, Jakarta's prime business district. 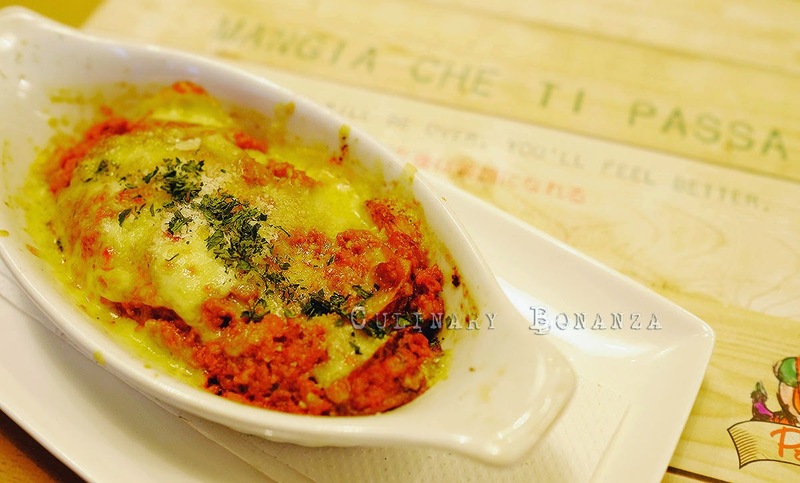 The name 'Popolamama' is actually a combination of two Italian words: 'popolare' and 'mama' or popular mama, which captures the essence that the best Italian home cooking is typically what the mothers cook. I have no doubt about that at all. 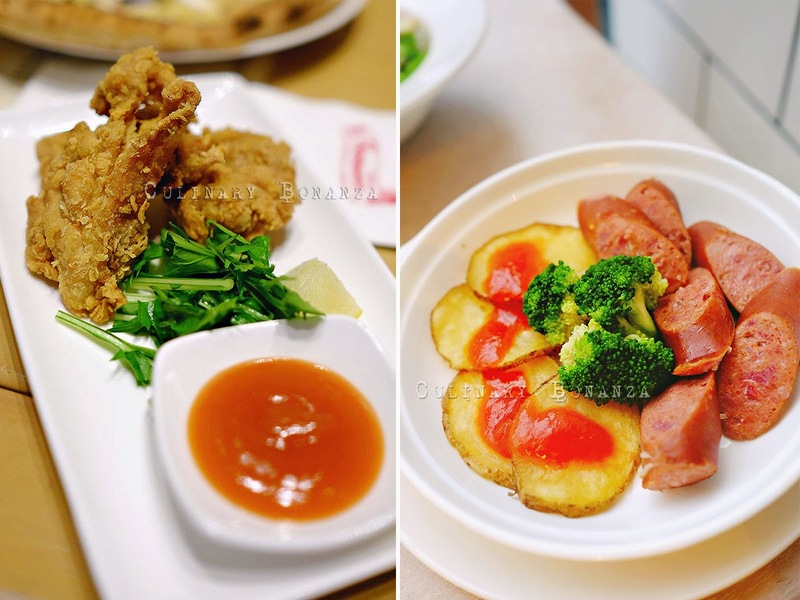 Back in Japan, Popolamama itself was established in 1995 and is brought to Indonesia this year, by a company named JC Comsa. 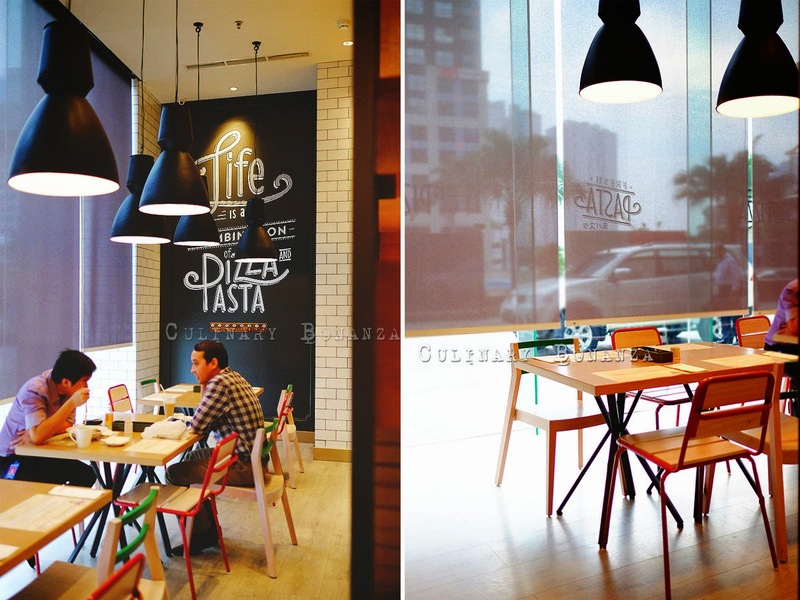 Popolamama claims to be the first fresh pasta and napoli pizza chain in Indonesia. 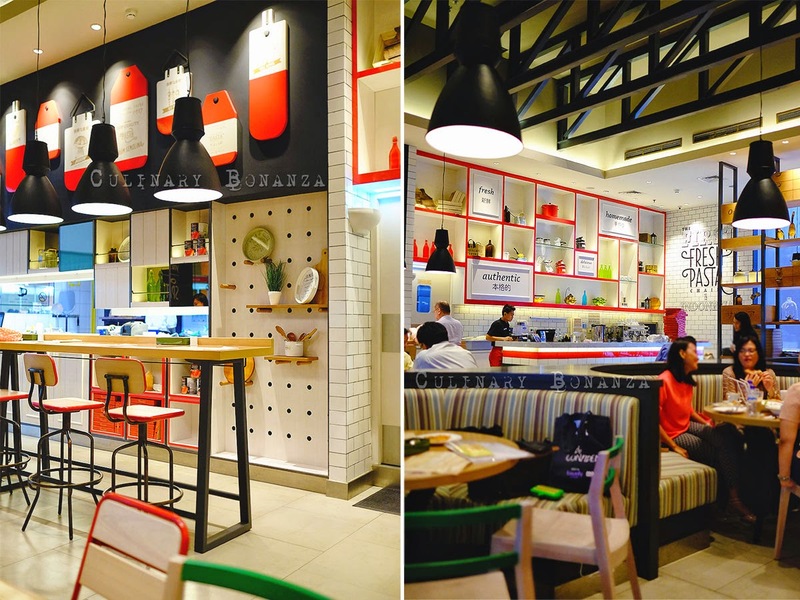 Within weeks of the opening of its first restaurant, Popolamama Indonesia today (25 June 2014) opens at Mall Taman Anggrek and coming real soon at Grand Indonesia. So what does it mean by fresh pasta? it means that all pastas served here are produced in the kitchen from scratch and not the dried packaged pastas. 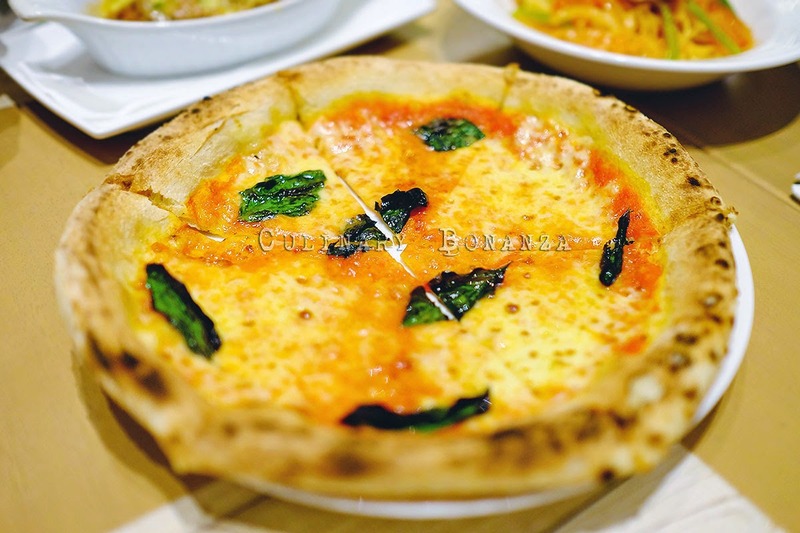 Another distinct offerings of Popolamama is the Napoli style pizza. Napoli, Neapolitan or Napoletana, is the name of a type of Italian pizza, which is said to have come from the Naples / Campania region in Italy. The trademark of Napoli pizza is the relatively small diameter (roughly 30 cm, nothing bigger), and it has to follow the 'rules proposed by the Associazione Vera Pizza Napoletana'. (really? 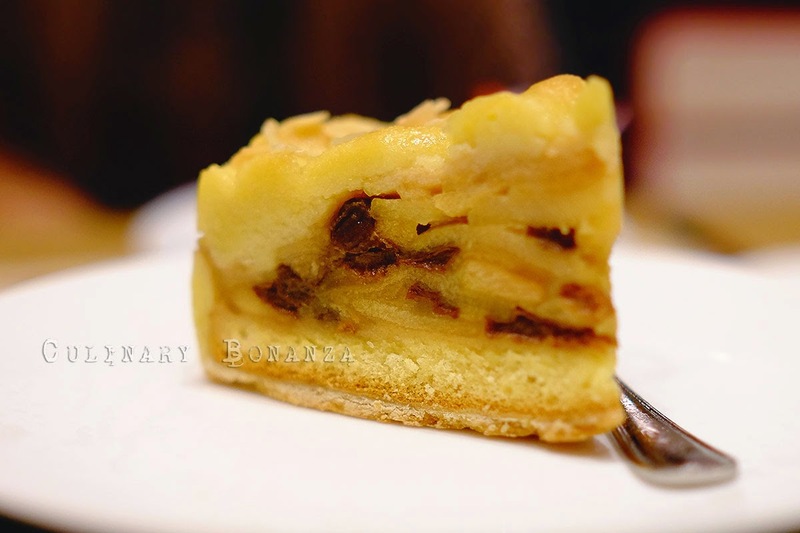 Italians are so serious about their food that they have all sorts of associations that regulate almost every type of food from cheese, wine even pizza!). Basically if you see that the pizza is not too large (can be easily finished by 1 person), has doughy crust and thin but moist center with moderately thin topping, it's probably a Pizza Napoletana. 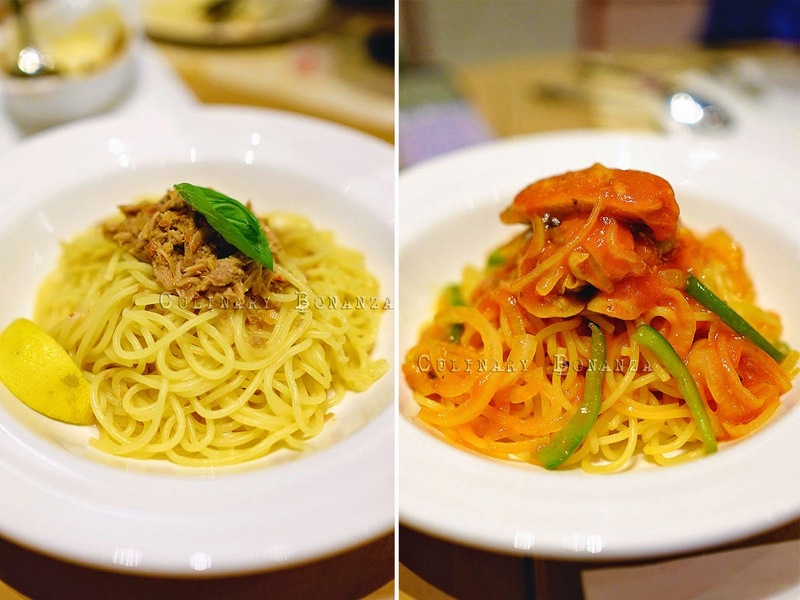 So, enough about the food facts, let's dig in at Popolamama! This is what the venue at Sudirman looks like, it's not too fancy but colourful enough for an establishment at an office tower. 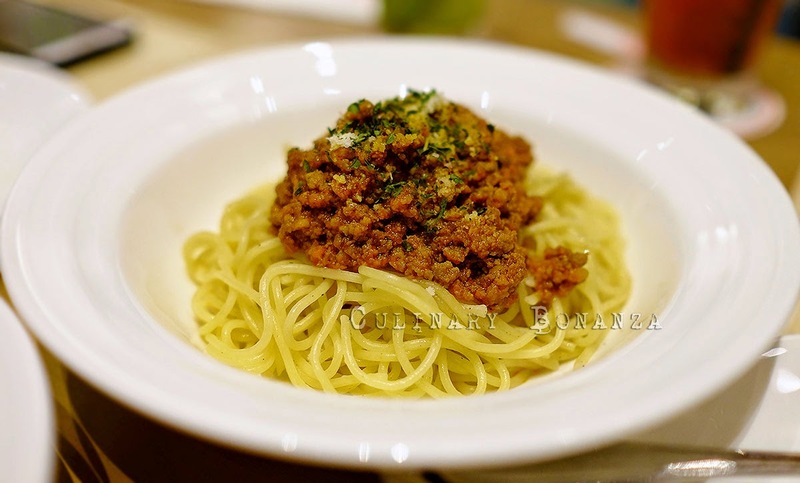 Japanese Italian fusion style Salad, appetizers, Fresh Pastas (spaghetti) with various sauces & toppings such as pesto, creamy / carbonara, aglio olio, tomato based sauce, wafu sauce and bolognese. 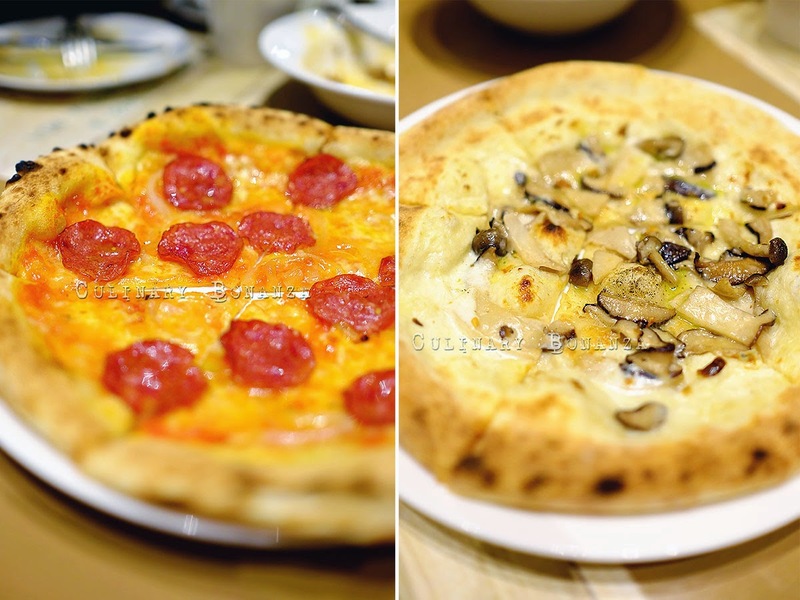 There's also Napoli Pizza (savoury and dessert), Set Menus and (currently limited selection of ) Dessert. 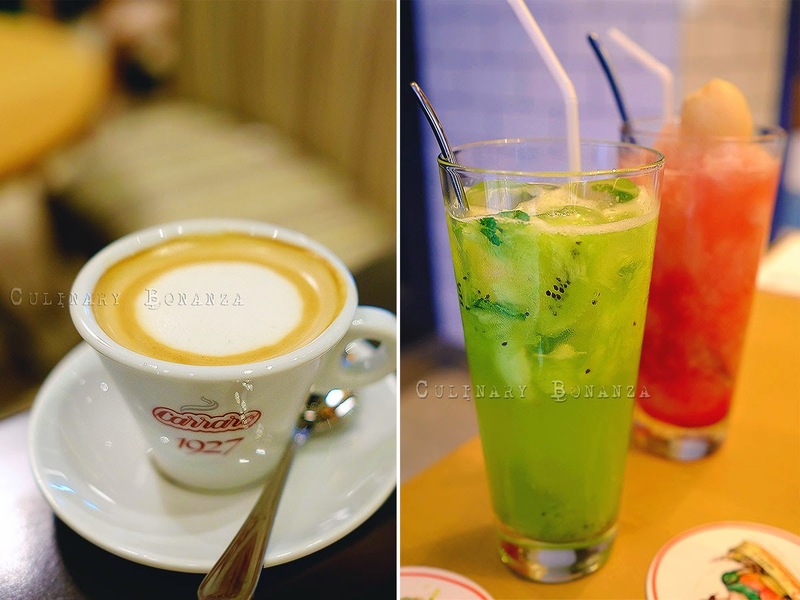 For its coffee, Popolamama serves Carraro Italian coffee, which is 90% arabica and 10% robusta beans. Quite bitter (not acidic) when served as black coffee, I liked the dirty (added with Caramel / hazelnut syrup) version as well. 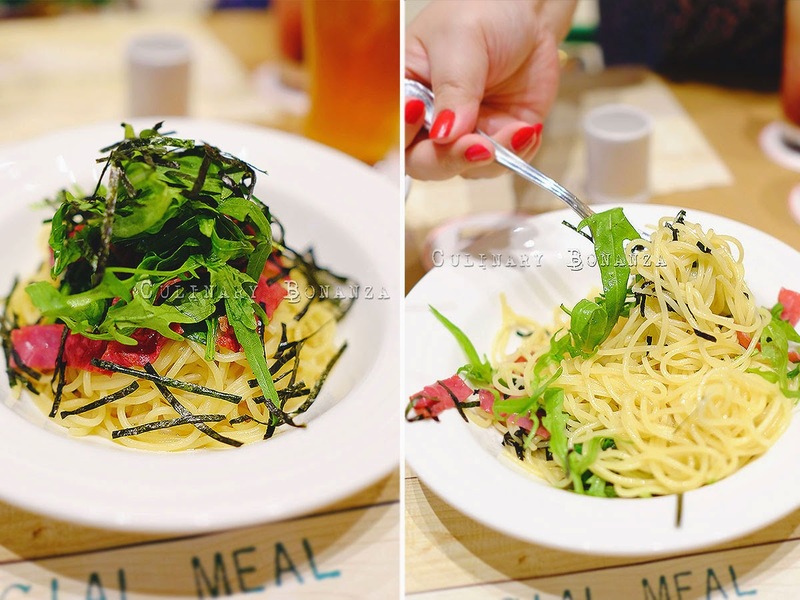 The prices here are not as expensive as in the shopping mall, none of the pizzas and pastas cost above IDR 75,000. While the place is still new, there's ongoing promotion, which entitles all staff working at the building a discount of 20%. 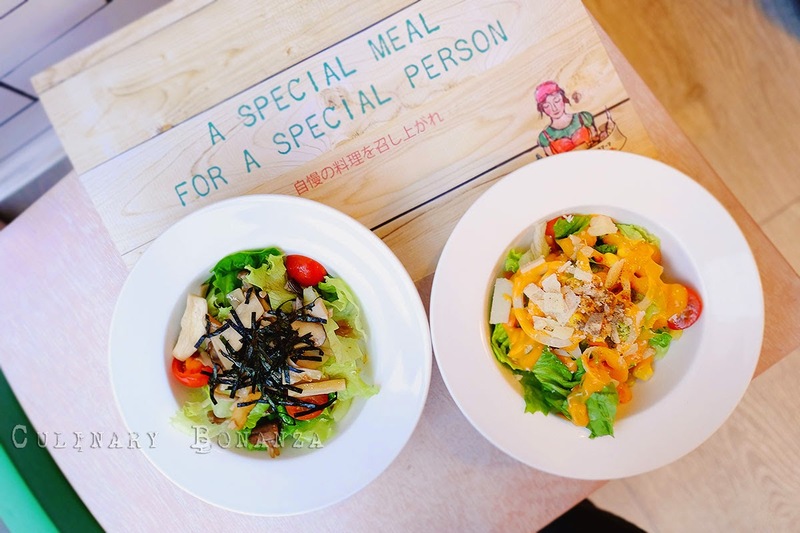 Plus they have set menu (mini salad + choice of pasta / pizza + beverage + chocolate ice cream) priced between IDR 70,000 - 80,000 and Kid's Set Menu (Kid's Salad + pasta + mineral water + chocolate ice cream) for IDR 33,000. The set menu is already a good deal which saves up to 20% from the a la carte price. Right: Toss it up right away! The way to eat fresh pasta, is you have to stir it immediately when it reaches your table, because if you leave it for too long, it'll continue cooking (as it is still piping hot) unevenly. I'm sure you do not want part of your pasta overcooked and the other part dry and stiff, so refrain from taking photos and just dig in! As for the Napoli pizza, the crust is crispy on the outer, but doughy inside. You have to be careful when picking a slice up, because it is quite flimsy, from the moist center, that's why the topping of Napoli pizza is not very thick, otherwise it'll crumble from the weight. From the above food that we shared (6 persons sharing together), my favourite are the Margherita Pizza, although the Beef Pepperoni and Mushroom are equally delish. 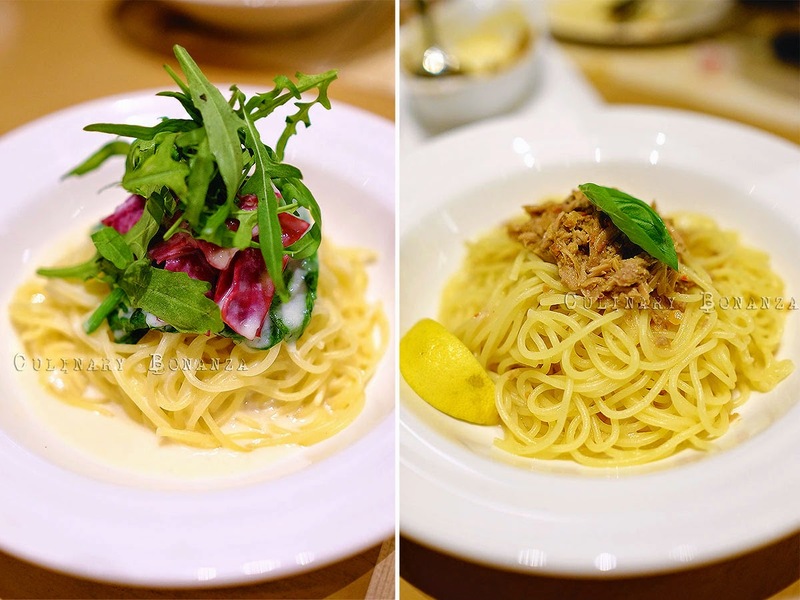 As for the pasta, I personally am fond the Aglio Olio with spicy Tuna the most. It is light, and the shredded tuna packs a hidden spicy punch. 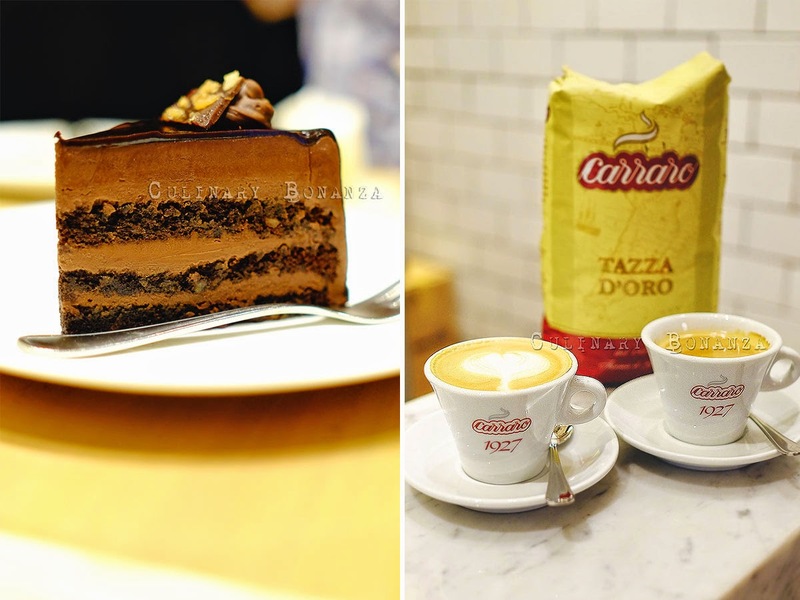 As for the dessert, the Hazelnut Dark Chocolate Cake slice is our favourite and it actually pairs well with the hot, slightly bitter black Carraro coffee. 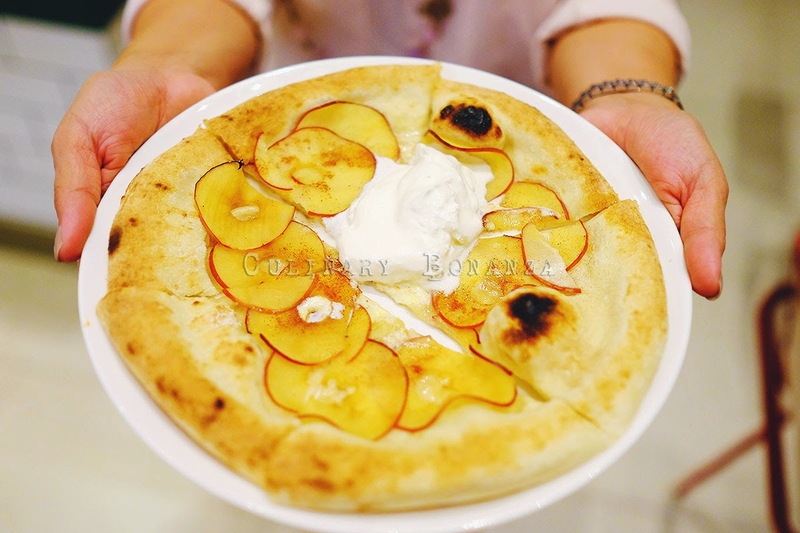 Wow, the apple cinnamon pizza looks so tempting! by the way, the chicken karaage looks a bit dry, is it delicious? It's a very good lunch spot for people working in the area. Also good for entertaining guests. Yes, indeed, and apparently the new store in Taman Anggrek is always full house!